Have you ever come across a recipe that called for a dessert to be topped with, not whipped cream, but creme anglaise? Creme Anglaise is described as a thick, pourable custard and is made with eggs, milk, sugar and vanilla bean. So, that's exactly what I did. And it was heavenly. 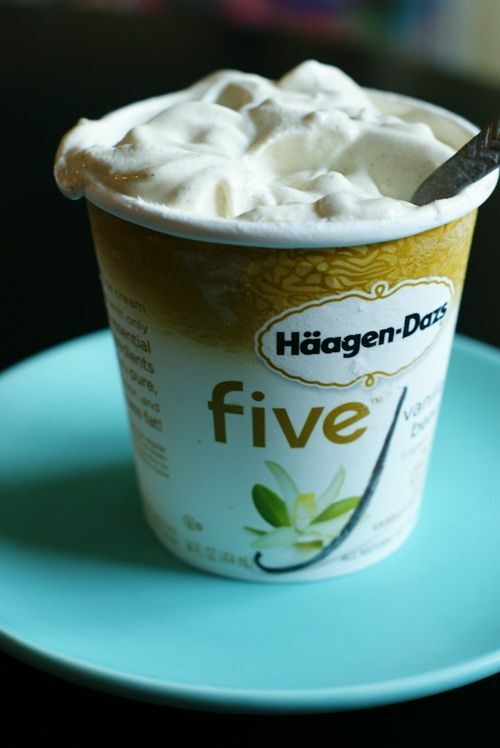 I highly recommend this Haagen-Dazs Five Vanilla Bean Ice Cream. I'm not a vanilla ice cream girl, but I could eat this entire container in one sitting (melted OR frozen). Let it melt in the fridge....it will still be nice and thick and perfect to spoon over that dessert. The cake it was meant to top wasn't my favorite. But the Cheater's Cream Anglaise? 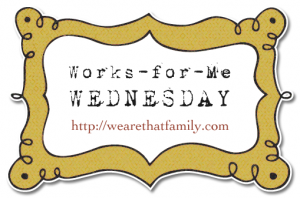 It works for me! thanks for the tip! I'll try it and by the way all your cookies are adorable and very creative! This appeals to me just on its own... I am a weirdo and like to stick my ice cream in the microwave for a few seconds to soften in up! What a great topping for so many desserts, thanks for sharing!! Now I need the yummy dessert recipe to go with! You were right about the foodnetwork. I remember Ina Garten doing this. Such a great idea!!! Great idea - you can always count on Alton! What a great idea!! Sometimes there's just no time or energy to whip up the real thing (not that I've ever--ehem--made real creme anglaise anyway, heh heh). And your pics are lovely. How do you get them so BIG!? That's a great idea! I love un conventional tip/ideas! Great tip! It makes perfect sense, but I never really thought about it before. I will keep this in mind the next time I don't have the energy to be bothered with making creme anglaise! there you go..........thinkin' all smart again on us! lol love it! 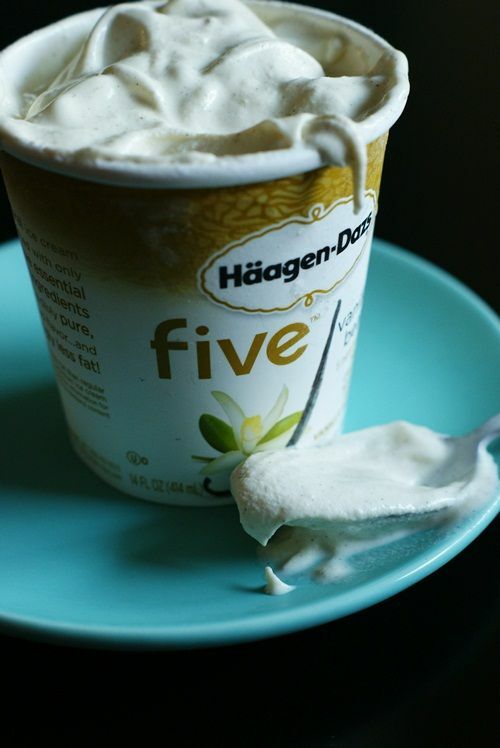 Such a clever idea . . .love Haagen Dazs . . I am ready to try this in my coffee or an Americano, etc. Hmmm...good excuse to have Haagen-Dazs on hand, right? I knew this!!! It is such a great shortcut too. That is just too cute, making cookies that look like cupcakes. This actually makes tons of sense--because french vanilla ice cream could be creme anglaise based. We made "french vanilla ice cream" from creme anglaise all the time in culinary school. Great idea. Thanks for sharing the tip.